On Saturday September 29th we will be having a build day! People of all ages are welcome to come and help! 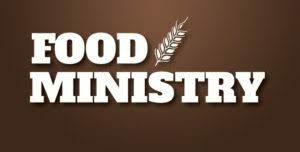 Look for the sign-up sheets in the Narthex at Incarnation. We need people to get involved as builders (no experience is necessary! ), lunch organizers, and photographers. Once you sign up, you will receive more details about the build day from your Day Coordinator. The commitment time is is 8:45am-3:30pm. 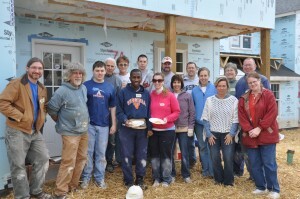 Incarnation completed its first sponsorship of a Habitat for Humanity house in April 2013–half of the duplex that you see in the picture above. 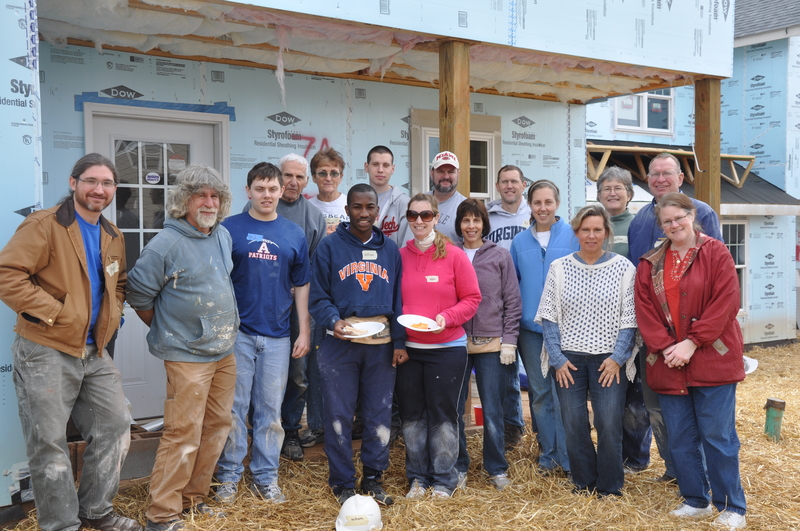 We had approximately 150 parishioners share their time on the nine build days that we did between August 2012 and April 2013, as well as many more who helped by contributing financially and offering prayers for this important ministry. We were excited to get to know the Habitat partner families, especially those living in this duplex–Rachel and her two sons, and Adolfo and Jasmine and their five children. If you have any questions about Habitat for Humanity or would like to get more involved, please contact Lucy Aslette at lucyaslette@gmail.com, or our Coordinator of Justice & Charity, Sheila, in the office (justiceandcharity@incarnationparish.org). We look forward to seeing you on the building site soon! 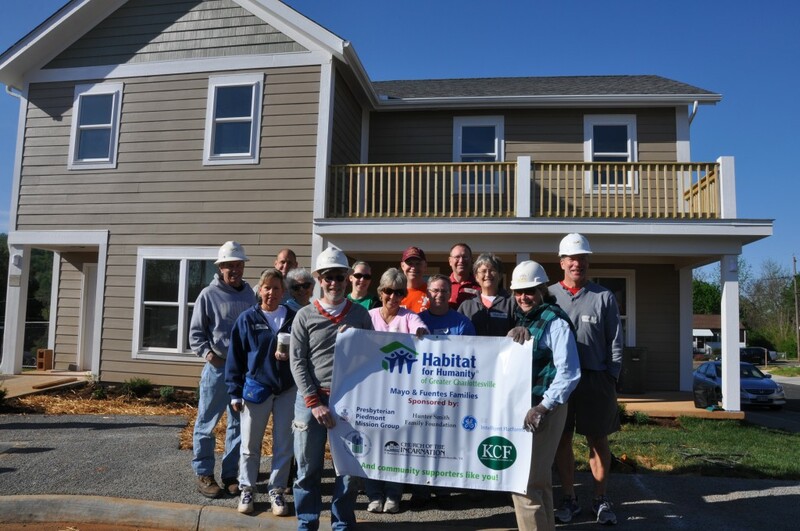 Click here to learn more about Habitat for Humanity of Greater Charlottesville. They have other volunteer opportunities available (labor, administrative, with children, etc.) 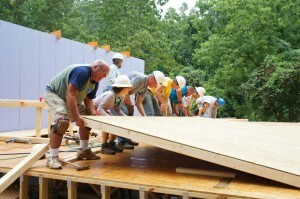 outside of our Incarnation build days, too, so check out their website to learn more.